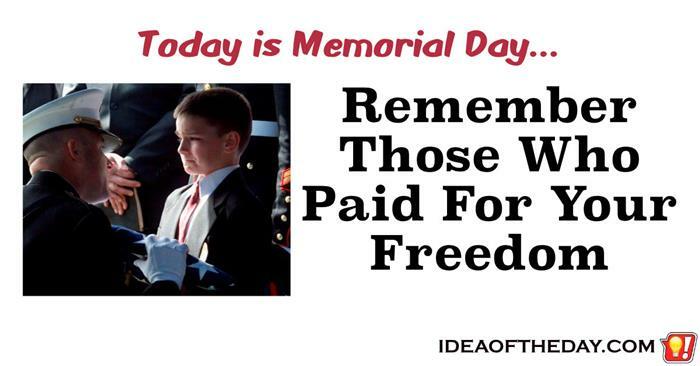 It's sad, but some people think of Memorial Day as just an excuse for a Bar-B-Que. There are 2 holidays celebrated in the US that were specifically created to celebrate those who have served in the military, Veteran's Day and Memorial Day, yet there are a lot of people who don't understand the differences. Veteran's Day was set aside to honor those who have served in the military. Veteran's Day gives us a chance to shake the hand of a Vet and say "Thank you for your service!". These brave people deserve more thanks and praise than they ever receive, because people are distracted by pointless sales in shopping malls and car dealerships.